Waterfront mountain real estate is something that is rare indeed. What's more, there is a unique variety of homes in Lake Lure ranging from the historic to the modern, from the somewhat rustic to the state of the art. Here at Beverly-Hanks, we pride ourselves on our deep relationship with the area, as well as our vast knowledge of Lake Lure property, land, and its unique, storied history. 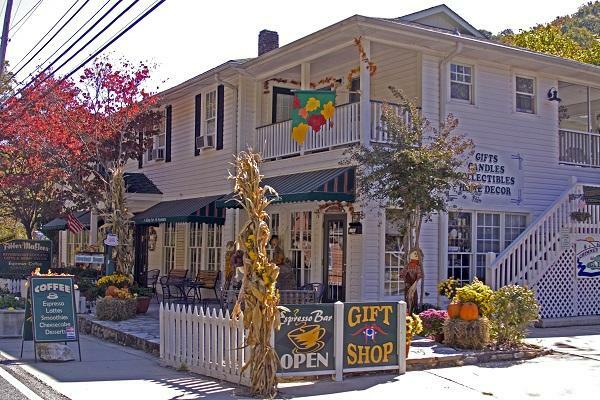 Nestled at the southern end of Lake Lure is the Rumbling Bald Resort, whose residents make up approximately half of the town's population. The resort's residents and guests have access to a marina and a recreation center featuring a host of outdoor amusements and sports, food and drink, and swimming areas—both in the lake and shoreside pools. Homes sold within Rumbling Bald account for a sizable portion of the homes sold on and near the lake. 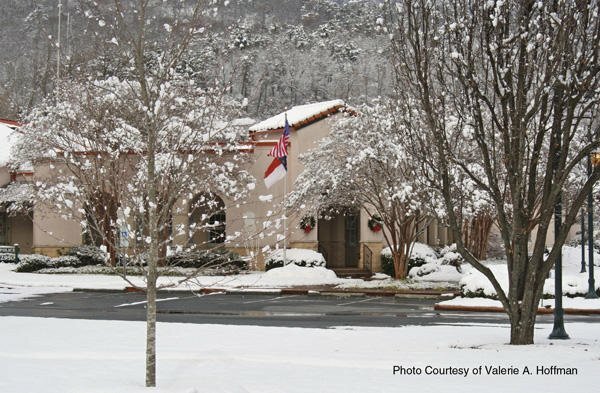 Beverly-Hanks has an office conveniently located in the Rumbling Bald Resort on Lake Lure. If you're searching for homes and land in Lake Lure, our expert real estate agents are available to help. Your Beverly-Hanks & Associates REALTOR® is backed by an outstanding support staff and committed to the highest standards of customer service. 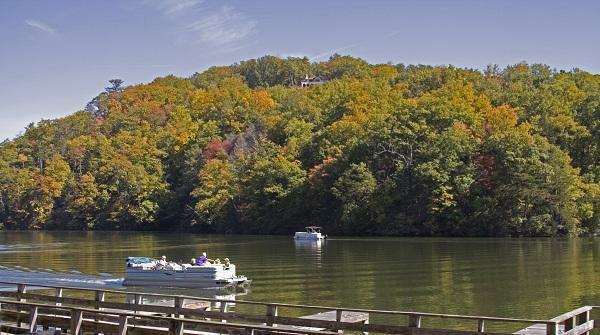 Find the homes in Lake Lure that allow you to Live the Life You Choose. 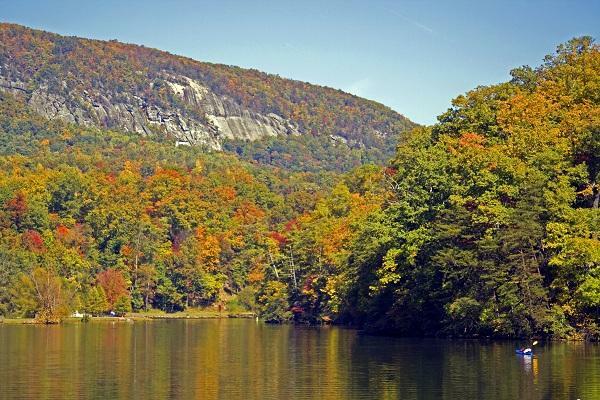 Click below to search Lake Lure real estate for your ideal listings. Lake Lure is located about half an hour southeast of Asheville, NC on Highway Alt 74, just a few miles from Chimney Rock. The town is equidistant from Rutherford Regional Medical Center and Pardee Hospital, which is managed by UNC Health Care and is the first and only hospital in North Carolina to be accredited with the International Organization for Standardization for quality health care standards. Nearby are Rutherford County schools (elementary, middle, and high school). 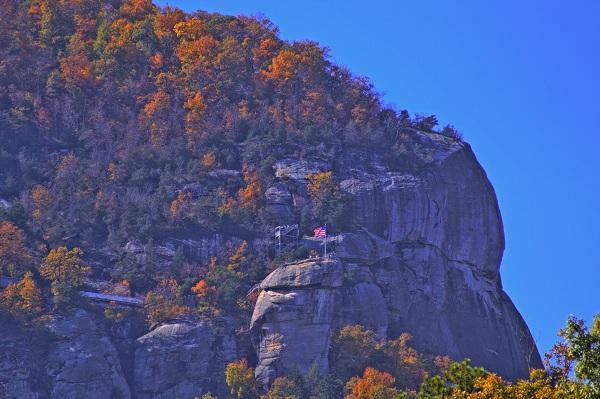 Chimney Rock State Park is located nearby, which offers hiking, outreach, and gorgeous mountain views. Rutherford County, NC is a mostly rural county of about 64,000 residents that is becoming a popular spot for those looking to retire or invest in a second home. 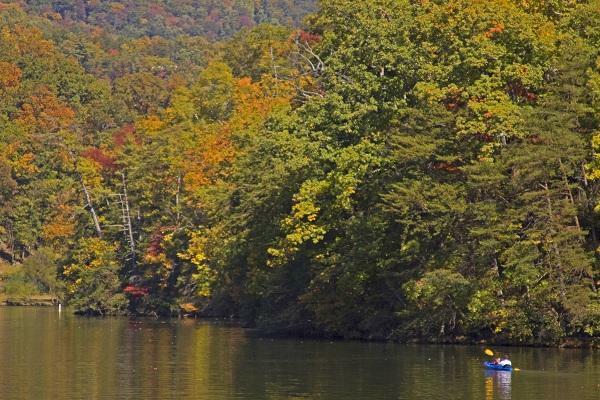 At the base of the Blue Ridge Mountains, the landscape includes rolling rivers and dramatic vistas. 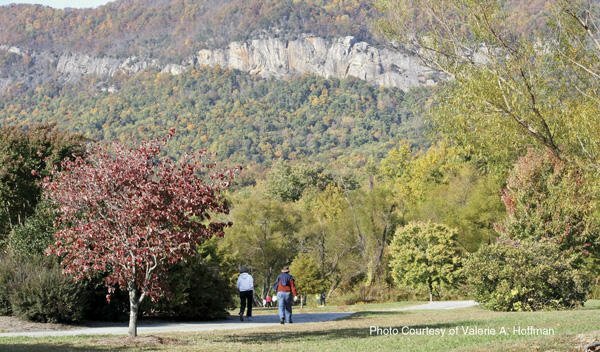 Many of the county's small towns, such as Lake Lure and Chimney Rock are seeing increased development as luxury communities and resorts are built, contributing to the area's economy. Lake Lure is in Rutherford County, NC. 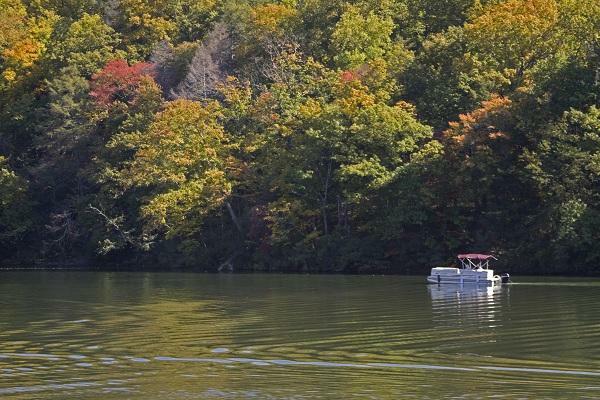 Lake Lure residents pay both city and Rutherford County property taxes, as totaled below. Tax rates are per $100 of assessed valuation. 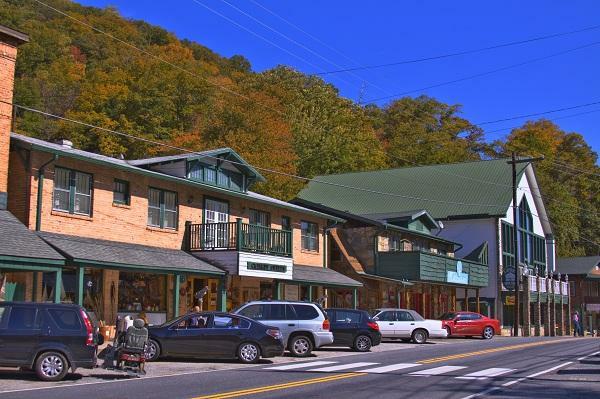 Lake Lure is a vibrant and active community. Read about recent news, events, and real estate market updates for the area on the Beverly-Hanks blog. Disclaimer: The map service includes search results such as listings and related information provided by third parties. Beverly-Hanks & Associates makes no representations or warranties regarding the accuracy or completeness of the information provided by these third parties. 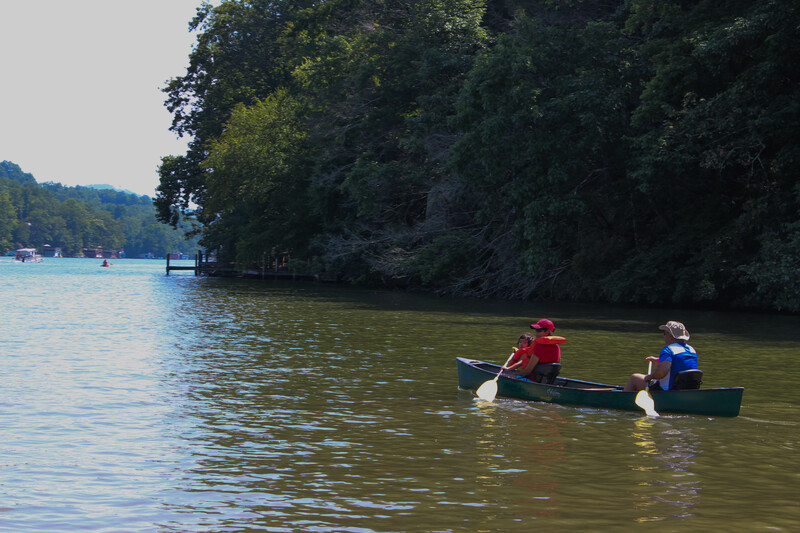 Lake Lure Offers Year-Round Activities on and off the Water! 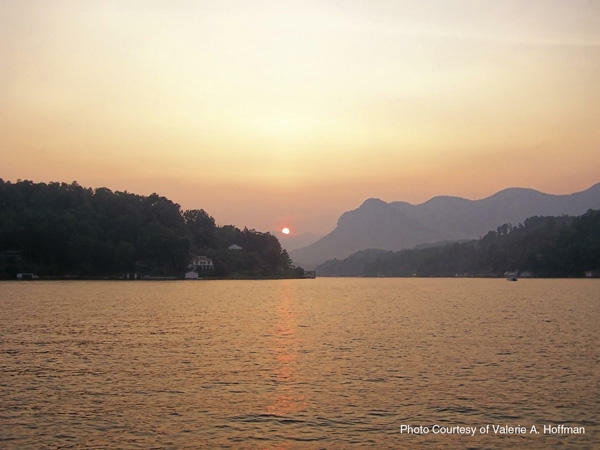 With slightly more than 1,000 permanent residents, Lake Lure's population surges in summer and fall with small waves of tourists and water-sports enthusiasts. 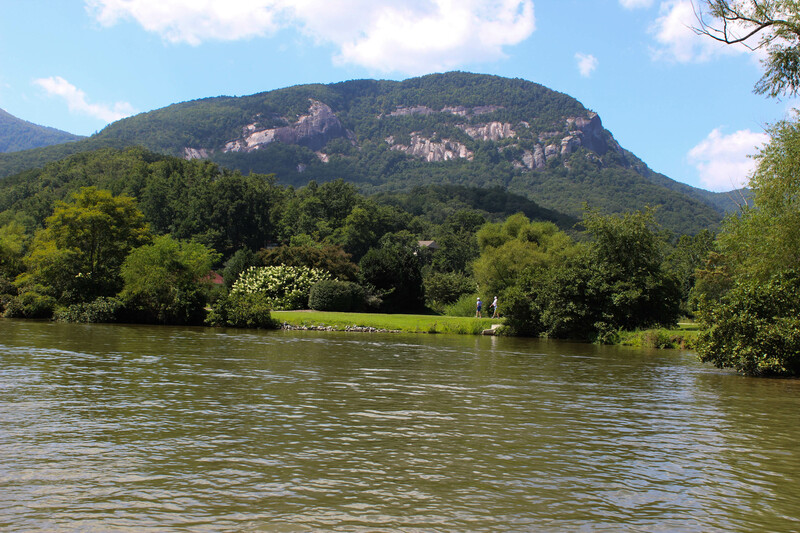 The town of Lake Lure and its namesake water feature date to the 1920s. That's when Lucius Morse, a noted developer of his day, arranged to dam the Rocky Broad River and create the 720-acre lake that would be the centerpiece of a unique resort community. Today, Morse's vision lives on, and Lake Lure continues to provide a kind of laid back luxury that's in perfect tune its natural surroundings. 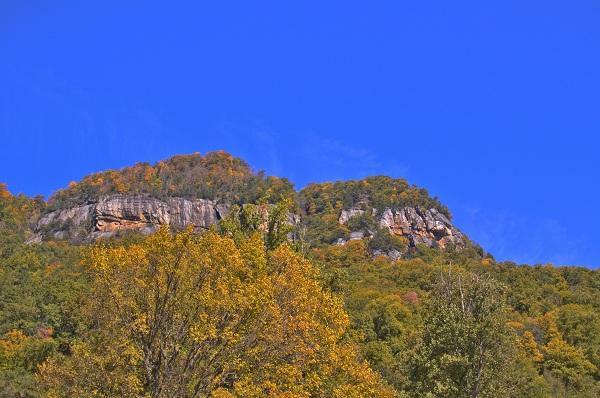 The mid-sized mountains of western Rutherford County are filled with forests, streams, striking vistas, stunning rock formations, and gently winding roads and trails. The lake itself has much to offer above and below the surface, and all along its 21 miles of shoreline. 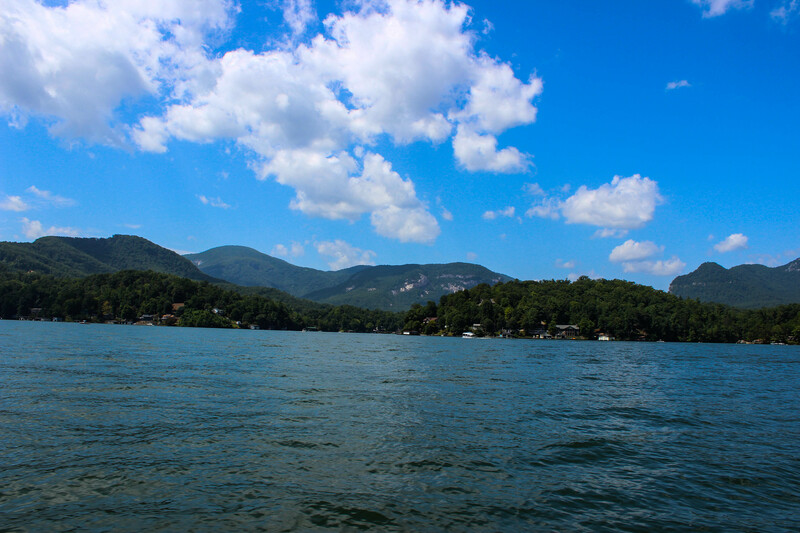 Permitted residents can launch from the nicely outfitted Lake Lure Marina to enjoy water skiing, leisure cruising, speed boating, paddling, and swimming. And Lake Lure's clear mountain water is home to sizable stocks of blue gill, catfish, and largemouth bass, making it a haven for anglers. 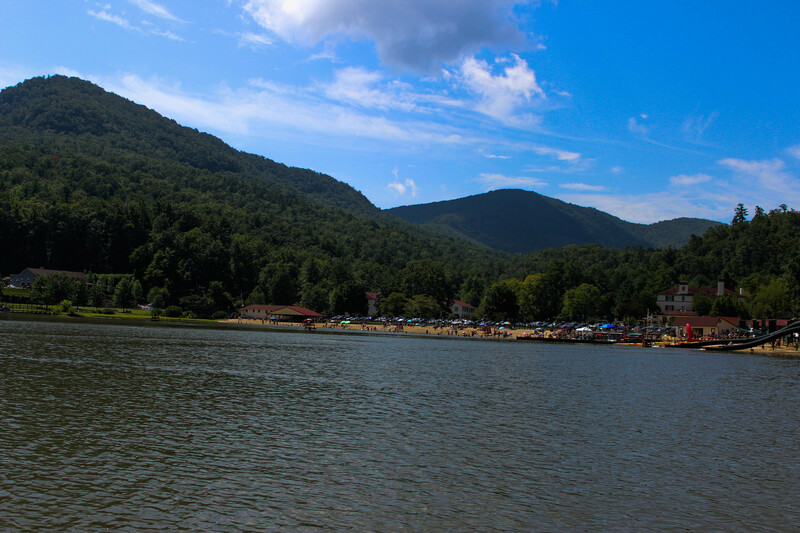 A lesser known, smaller body of water is Bald Mountain Lake, which adjoins Lake Lure and is nestled in the Rumbling Bald Resort. The resort's residents and guests have access to a marina and a recreation center featuring a host of outdoor amusements and sports, food and drink, and swimming areas both in the lake and in inland artificial pools. 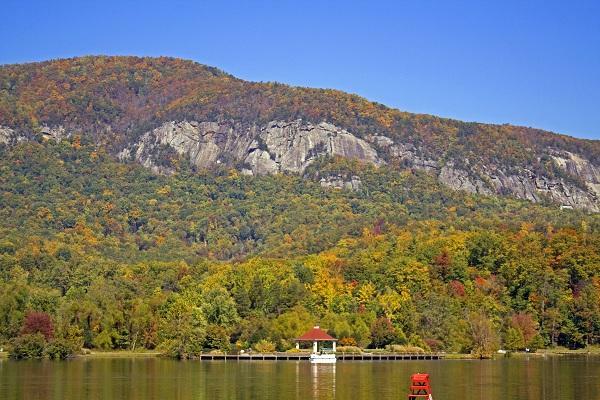 If parts of Lake Lure look familiar to first-time visitors, it's no surprise. The lake and much of the local waterfront mountain property was the prime shooting ground for the 1987 romance "Dirty Dancing." The film was set in the early 1960s, but even today, parts of Lake Lure feel like the lakeside stomping grounds of the two main characters, played by Jennifer Grey and Patrick Swayze. It's a connection the town continues to celebrate with their annual Dirty Dancing Festival, launched in 2010 and held each September. Also popular are Lake Lure's longstanding annual events, including premier fireworks displays on the Fourth of July and the summertime Lure of the Dragons Race and Festival. The latter event brings "dragon boat" and other races to the lake, and raises money for local children's charities. In May, there's the Olympiad Fly Masters Tournament, hosted on both the lake and the Rocky Broad. In August, the Hickory Nut Gorge Olympiad beckons athletes from around the nation for footraces, a triathlon, and tournaments in golf, pickleball, swimming, water skiing, basketball, and other sports. At Lake Lure, outdoor activities await at pretty much every door. There are three scenic golf courses: Lake Lure Golf Course is a nine-hole course owned by the town that was designed by the great golf architect Donald Ross in 1929, making it one of the first in Western North Carolina. Two additional full length, semi-private courses—Bald Mountain Golf Course and Apple Valley Golf Course—each offer a unique take on mountain golfing. Lake Lure and its environs offer no shortage of other amusements and something for just about everybody. 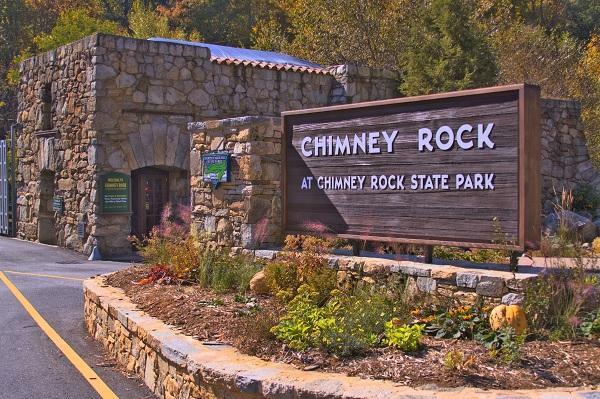 Nearby Chimney Rock State Park features several hikes and unparalleled views. 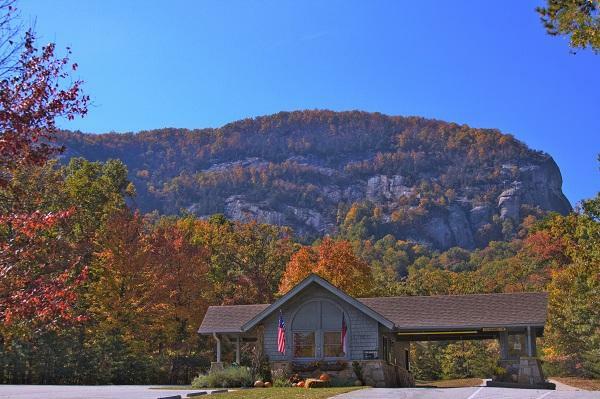 The mountain roads that weave around Lake Lure attract motorcyclists for cruises and rallies, and Cedar Creek Stables offers a trail-ride experiences if you'd rather let a horse trek you around the mountain coves. No center of leisure would be complete without good options for wining and dining, and Lake Lure satisfies in this respect, as well. Local eateries run from the mid-range to the upper crust. A favorite among locals and visitors alike is the Geneva Riverside Tiki Bar & Grille, where you can take in what the establishment calls its "Key West, open air feel" right next to the lake. Life at Lake Lure is hospitable above all else, for the resident or the visitor. A rich offering of bed and breakfast options circle the lake, as do a number of motels, hotels, and rental condos. A mainstay of Lake Lure lodging is the Lake Lure Inn & Spa, which was founded along with the town in 1927 and continues to keep pace with the lake and town's ever-growing options for recreation and relaxation. Like the community it calls home, the inn is rife with reminders of Lake Lure's engaging past and updated with signs of the town's exciting future.